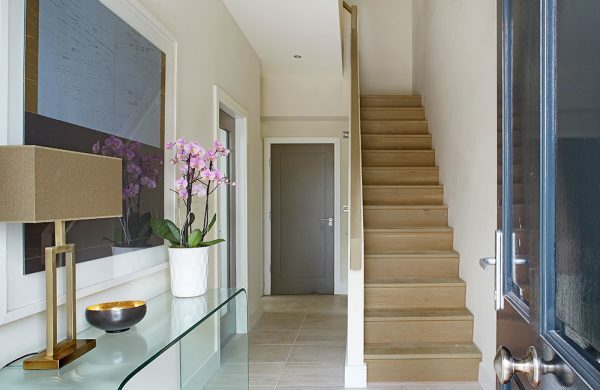 The number one priority on all of my clients list is not a larger kitchen or brighter living space but for their home to make them happy – they want o feel elation from the second their key goes into their front door – so if your home is in need of a lift what better place to start than your entrance hall. It might be the most heavily trafficked zone of the house but when it comes to decorating, the entrance hall can often be an afterthought. Your hallway will set the tone for the rest of the house so it’s important to give it as much thought as other rooms when refurbishing. Entrance halls often have little natural light so they are one area of the house where properly-planned lighting can make a dramatic difference. The trick is to get the balance of artificial and natural light right. Too much artificial light will result in a space that feels clinical, but if it is under lit everything will appear gloomy and uninviting. Natural timber entrance doors are beautiful but internally they and be quite oppressive. To instantly brighten up your hallway consider painting the inside of your front door in an off white. 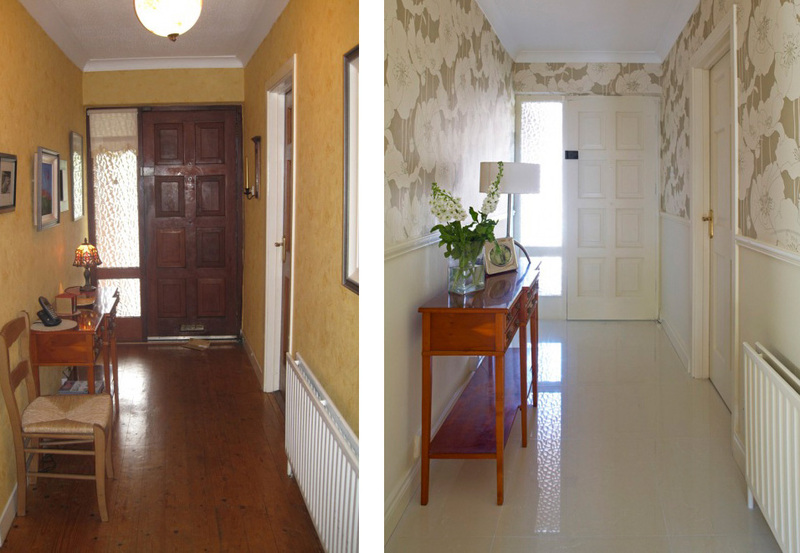 You will be amazed how this simple alteration can transform your hallway. 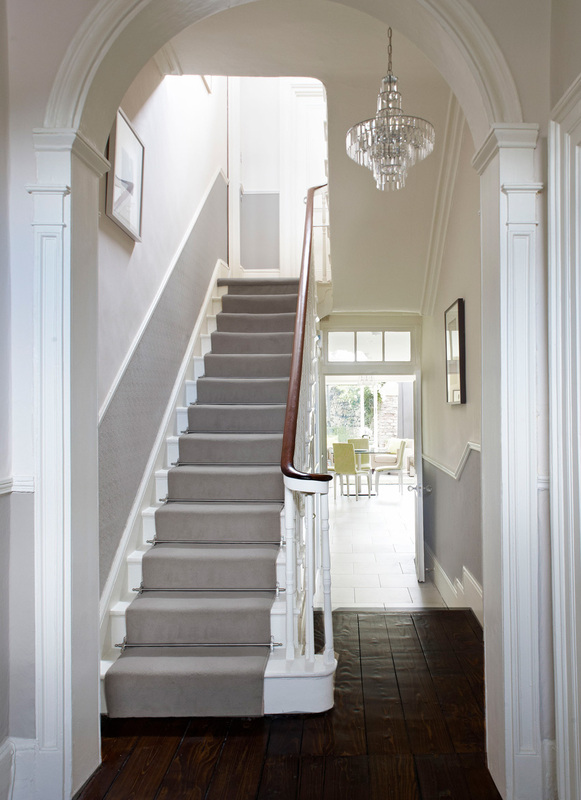 If your hallway lacks period features why not consider introducing a dado rail or paneling. This is an inexpensive and easy way to add character and will allow you to introduce more than one colour to your walls. For the more adventurous among you could go for a wallpaper above the paneling or dado rail. Hallways are the perfect place for showcasing artworks or collectables. Floating shelves to display sculptures and picture lights to show off paintings make elegant statements. Think about the view from your front door; if it’s a doorway consider making this a glass paneled door to maxamise the amount of light in the hallway. This is especially effective if it allows a glimpse of the garden from the hallway. Or jazz up a blank wall with a striking wallpaper. 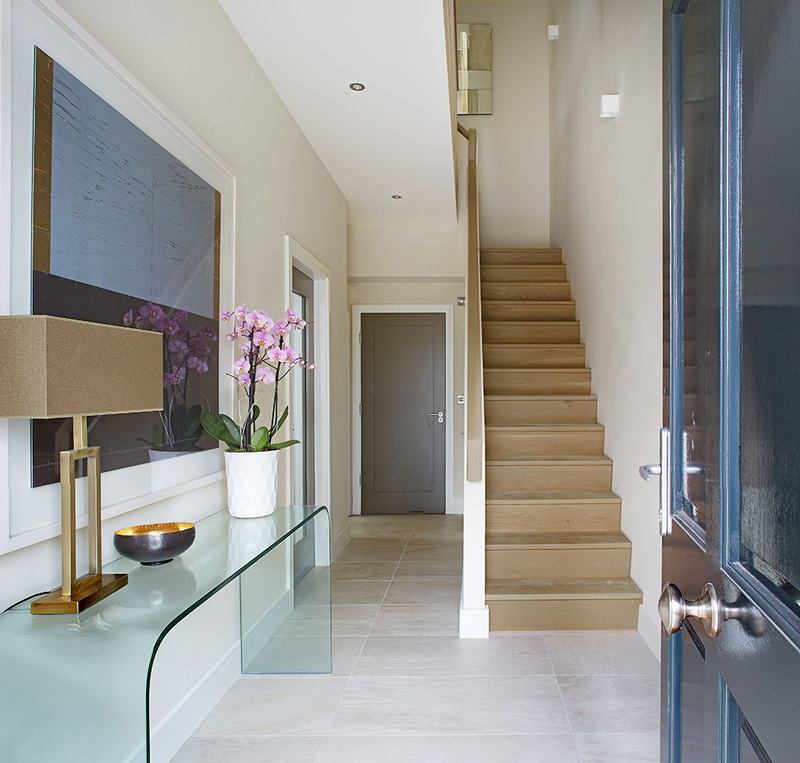 If your front door opens directly into your living space consider creating an entrance hall. We recently refurbished a Victorian terraced house where the ground floor was completely open plan – it was a beautiful space but one of the issues was that the hall door opened from the street straight into the living space. We had to come up with a way to create an entrance hall by screening off the living area but without blocking the light. Our solution was to build an opensided shelving unit to act as a screen and also to provide essential storage space. The unit was made by a carpenter from MDF and then painted to match the woodwork elsewhere in the house.